We will be meeting on Sat. 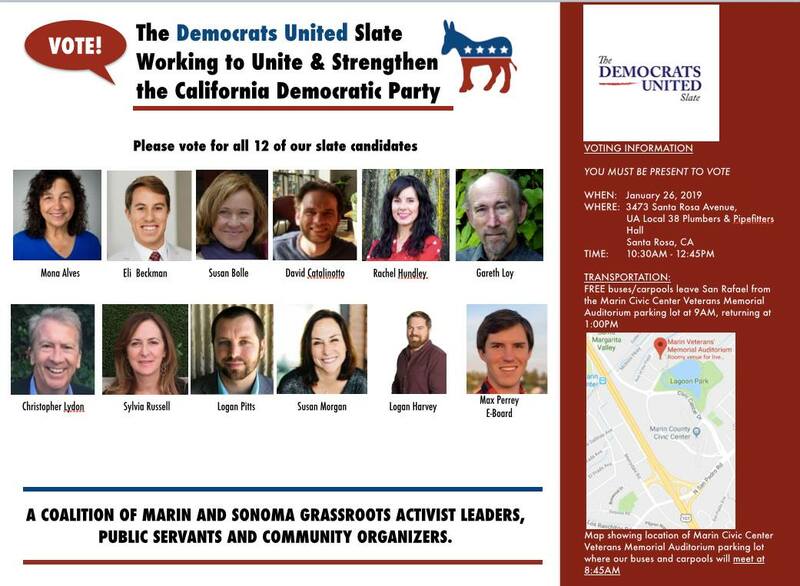 26 at 8:45 AM at the Marin Civic Center Veterans Memorial Auditorium parking lot where buses and carpools will take us all up to Santa Rosa so we can vote for our representatives. Check out Friday’s Marin IJ article featuring our own June Cooperman, who discusses the importance of joining this Saturday’s Women’s March. 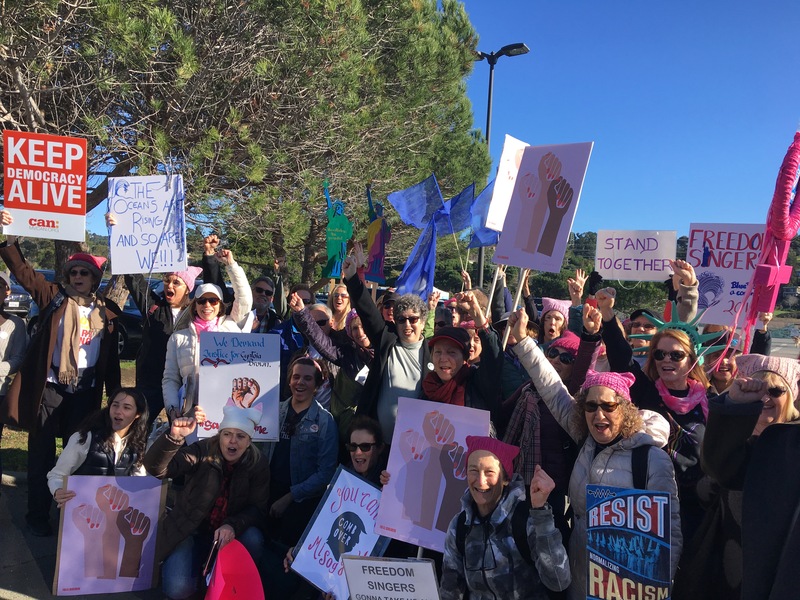 See Marin IJ - Marin Activists Join Women’s March. 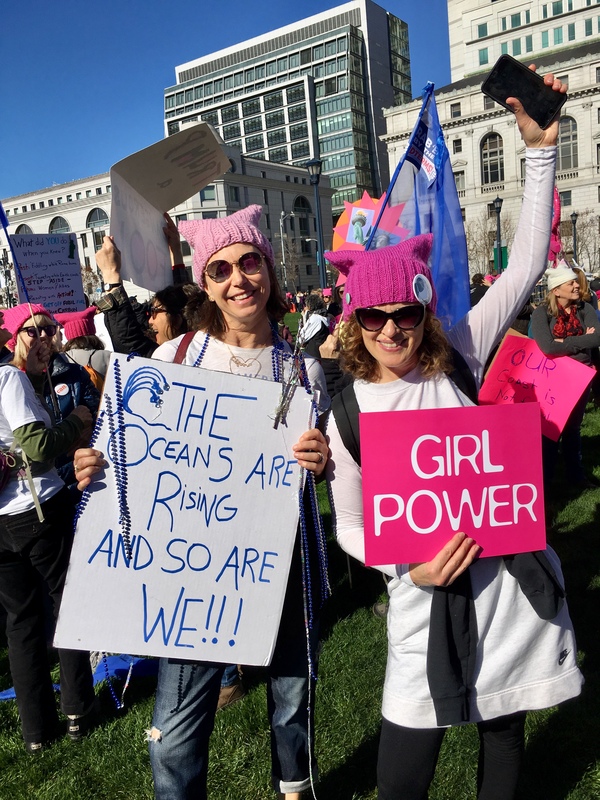 Meanwhile for the latest March news read here about the progressive Bay Area Jewish community and the SF Women’s March 2019 (a separate organization from the national Women’s March). MVCAN members and our Marin activists friends will meet in the parking lot at Mill Valley Middle School (425 Sycamore Ave), to form informal carpools to SF at 10:30 AM, Sat. Jan 19. For more information about carpooling, contact Carol Korenbrot at carol.korenbrot@gmail.com. All MVCANers, Marin activists, and their friends are encouraged to gather for the rally at approximately 11:30 AM at the SF Civic Center Plaza and then meet up again at 1:30 PM in order to march together. Meet friends, make new ones, have a blast! 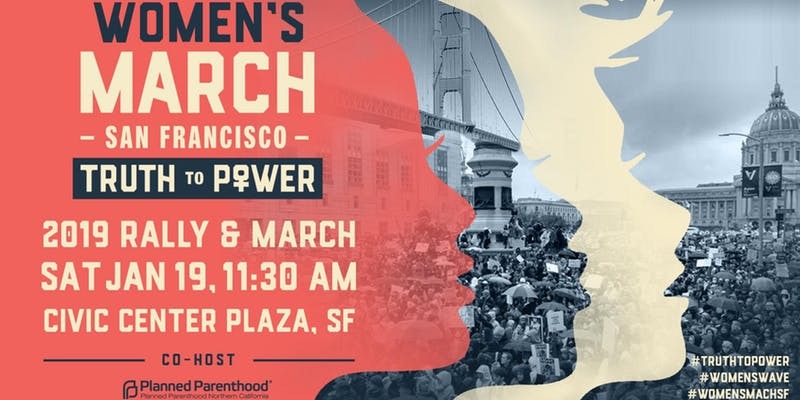 Hear awesome speakers, such as Mayor London Breed, Rebecca Solnit and many more scheduled for the rally. Liz Schumacher and Eileen Fisher at last year's March. MVCAN’s Civil Rights/Immigration team is spearheading our involvement. Along with a financial contribution to help pay for food and chair rental, our members are heading the set-up and clean-up crew. We are hoping to find more volunteers to join us at the Marin City gym (Manzanita Recreation Center) on Monday, January 21st from 9am-3pm. If you can help, please email Barbara Rowe at barbrowe@aol.com or Lisa Scarcella at scarsella@comcast.net. WE NEED YOU! Please spread the word. Mill Valley Community Action's Eco Warriors’ team in conjunction with the Sierra Club is holding community conversations about what becoming a 100% green economy would look like for our cities and our nation. Whether you have been involved in environmental issues or not, you are invited to come and take part in a conversation about what we would like to see in our future locally and nationally. The Sierra Club and MVCAN leaders have some ideas but are eager to hear yours. We will gather them, discuss them, and together decide how we might act on them. Thurs. Jan 24, 7 - 8:30 p.m. Although the event is free, signing up will help us estimate how many will be attending. Please contact Jenny at Jennifers.tomkins@gmail.com or Marilyn at mprice@the-acorn.com for more information. 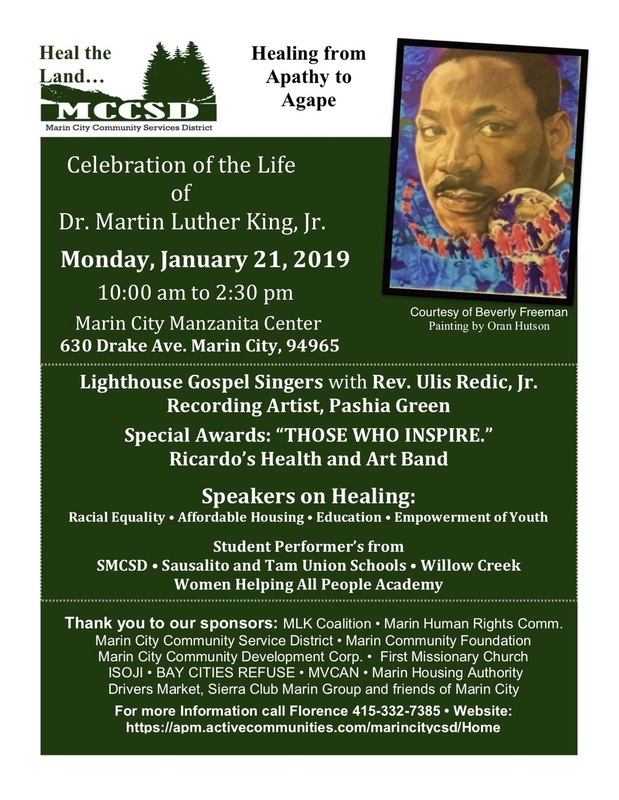 Everyone is welcome; please join us! One of the reasons MVCAN started Airlift.fund was that the people on the Economic Action team were tired of getting the daily barrage of "sky is falling" emails from Democratic fundraisers. Our suspicion was that they were all coming from the same place. And a few days ago, the Washington Post did an exposé on a boiler room that generates a lot of it. See How a little-known Democratic firm cashed in on the wave of midterm money. 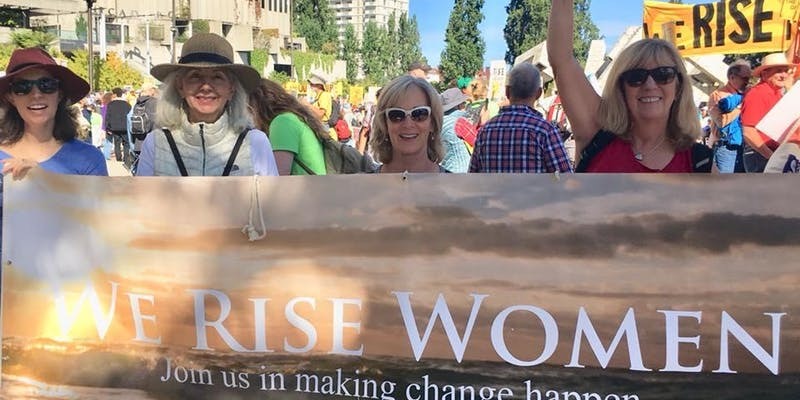 In a related event, Danny Altman will also be speaking about Airlift at a We Rise Women meeting featuring a strong line-up of speakers, including Lala Wu, co-founder of Sister District on Tue. Jan 29, 6 pm in Larkspur. Sign up Here. 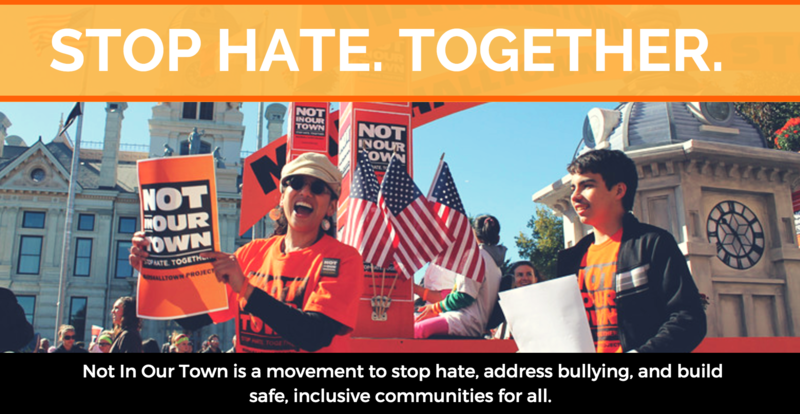 Come attend a film screening and panel discussion of Not In Our Town. This film takes a bridge-building stance against hate and intolerance. Thurs. Feb 7 at 7pm. Please join us for a special community screening and conversation where we are privileged to show the work of award winning PBS producer Patrice O’Neill. At the MVCAN Leaders’ Retreat, which will take place Sun. 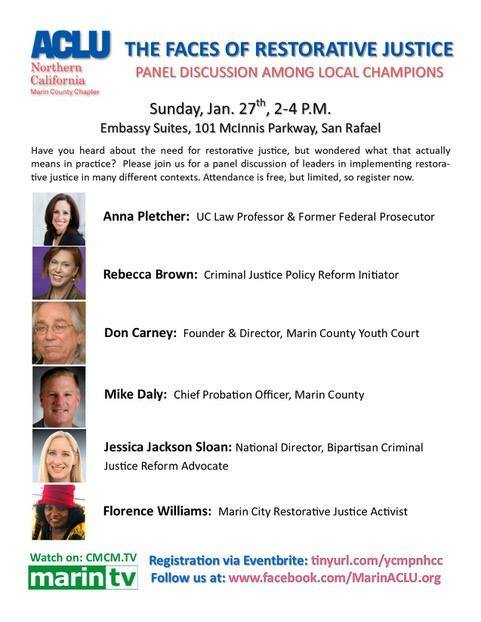 Jan 27, 9:30 am - 3:00 pm, activists involved in MVCAN will reflect on the past two years and explore 2019 options and plans. If you are interested in finding out more about the event, please contact Carol Korenbrot at carol.korenbrot@gmail.com. Lucia Martel-Dow speaking at Jan. 13 meeting. A packed house of more than 80 people attended our January meeting last Sunday. Our two MVCAN guests spoke passionately on issues of immigration. 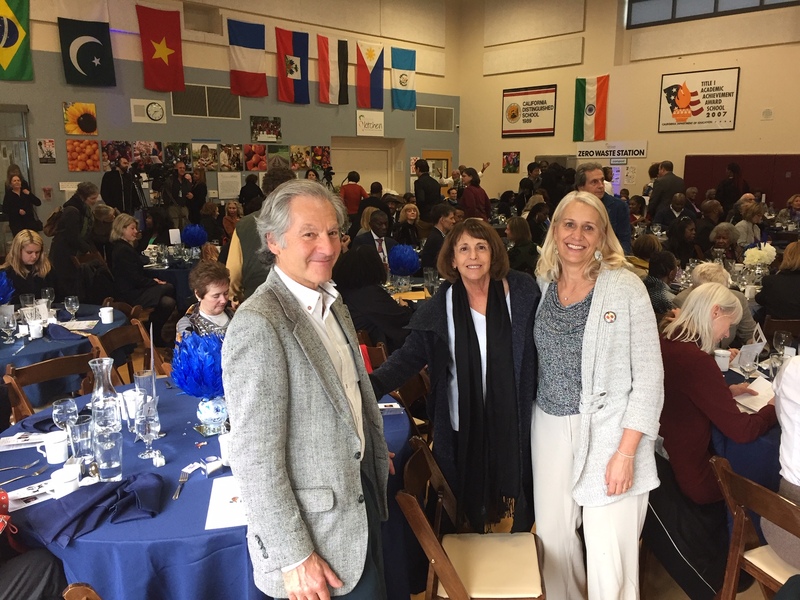 It was inspiring to hear from both Lucia Martel-Dow, Director of Immigration Legal/Social Services for the Canal Alliance and Karen Ferguson, Executive Director of International Rescue Committee’s (IRC) Northern California. 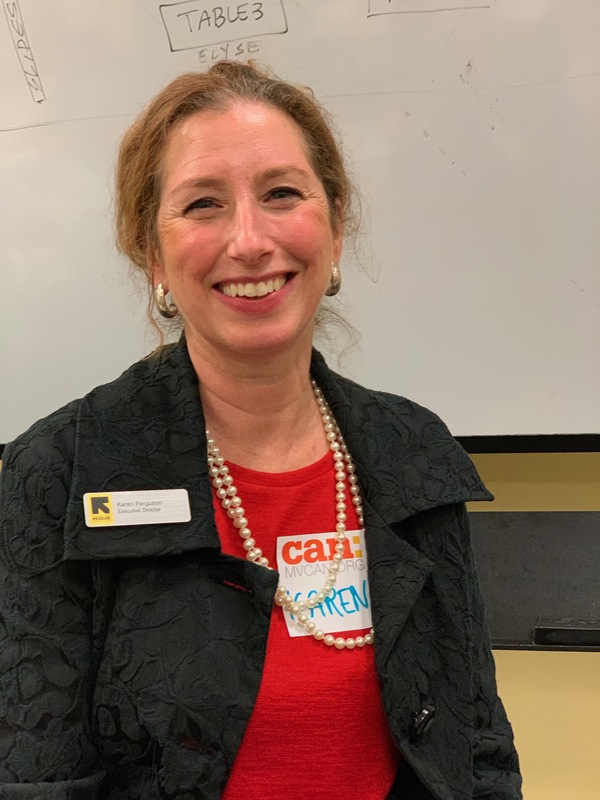 The Canal Alliance, represented by Ms. Martel-Dow, assists with social services, education of teens and adults and provides guidance to those seeking legal residency and citizenship. She informed us of the recent history of migration to the United States, especially from Central America, while also talking about the struggles of families with children and the many unaccompanied minors who are becoming our neighbors in Marin County. More information about the agency as well as volunteer and donor options can be found at canalalliance.org. Karen Ferguson, representing the International Rescue Committee (IRC) Northern California, talked to us about the difference between asylees who seek protection at our borders and refugees who flee war or persecution for temporary protection in a second country and then apply to a third country to relocate permanently. IRC welcomes those who need help at the airport, locates apartments and furniture, offers English language classes and job training and helps them find employment. For more information as well as volunteer and donor opportunities, see www.rescue.org/united-states/oakland-ca. The United States now welcomes only 25% of the refugees that we did before 2016. Both agencies need support, especially given the government shut-down and the current changes in immigration regulations. Kudos to the Immigration/Civil Rights Team for leading this awesome program and for undertaking the planning for next steps for immigration activism! 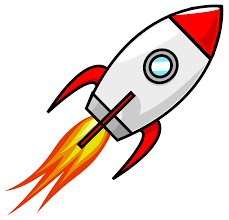 Exciting program in the works. See you there!